Okay, I don't have any excuses. I'm behind, content-wise for The Mane Objective. Y'all still love me thought right? Anywho, so let's get into this month 2 update! You guys know how I roll, so after I break down my length check, it's time to discuss the pros and cons of CURLS Blissful Lengths Liquid Hair Growth Vitamin. I'm sure you're wondering how a effective a vitamin is when there's only 1/4 inch of growth between December and January. Not so fast! The truth is, I trimmed my hair...twice. If you'll recall, right around the holiday season, I did a fab blowout (which I still dream about! Lol). I took advantage of my hair being in the stretched state, and gave myself a trim to even up my ends and get rid of split ones. And then, I did something that I don't recommend you do (but I'm hardheaded) - after I reverted my hair back curly, I trimmed it again. I'm obsessed with straight, blunt ends. When my hair reverted back, there were some tapered pieces that I couldn't detect while my hair was straight - so snip, snip! Now that my hair is in a happy place, I'm ready for forward progress and growth. But even still - 1/4 inch of growth after two trims is pretty darn good. Swallowing pills is no big deal for me - I take big @$$ vitamins all the time. But there's just something so easy and quick about knocking back a tablespoon of liquid vitamin. It's definitely a plus - especially for my peeps who don't like swallowing pills. Not gonna lie, I was expecting blueberry flavor. I don't know why - there's nothing on the label about blueberry flavor and it's not a part of the Blueberry Bliss Collection. So when it came out orange, I was shocked. I expected some syrupy gag-worthy cough medicine flavor, but it's so far from that. It's nice, bright, sweet (but not overly so), and has a nice gingery flavor to it. I love ginger, so I definitely might be biased in that regard, lol. 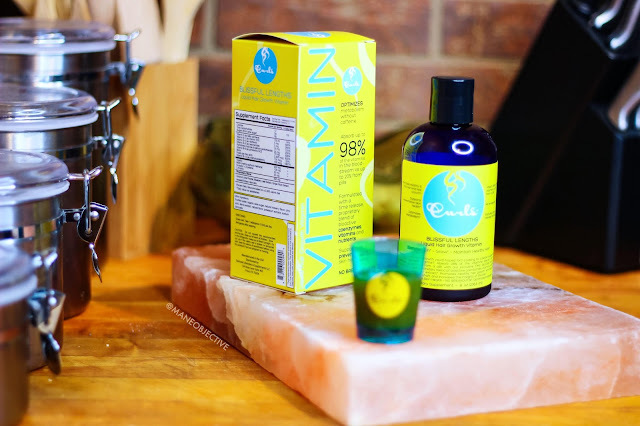 Have you ever emptied out a vitamin capsule to mix it in a drink because you didn't feel like (or couldn't) swallow a pill? Worst. Experience. EVER. Vitamins notoriously taste terrible. But with Blissful Lengths, it's super easy to mix it in your bottle of water, your breakfast smoothie, or a cup of juice. Easy peasy. After downing 4 bottles of Blissful Lengths, I can confidently vouch for the vitamin's effectiveness. Not only am I experiencing growth (hey there inches), but my hair is looking fuller and healthier than it has in a long time. I'll be back at my 2014 hair goals in no time! Some vitamins are finicky, and cause upset stomach and other reactions when combined with other supplements. I've found that this is not the case with Blissful Lengths - I've taken it with my other vitamins, before my pre-workout, and even right before bed - without any issues. This is great for someone like me, who's always on the verge of or getting to do things (like take my vitamins). This is a common question - will the vitamin make me grow hair faster other places? I hear ya ladies. Who wants extra hair...on their upper lip? Or on the back of the kneecap? I'm happy to report that my hair growth isn't taking off all over the map - just on my head. Lol. I learned a long time ago that biotin by itself for me is a no-go. It makes my skin breakout in really painful pimples. I'm happy to report that Blissful Lengths does not result in adverse skin reactions. 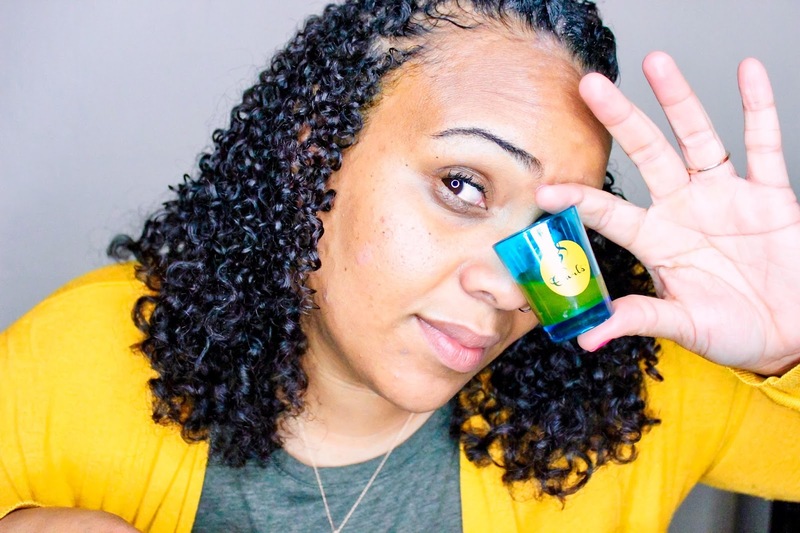 Because nobody - NOBODY wants bangin' curls and bumpy skin. Nobody. Make sure you keep Blissful Lengths in the kitchen! Okay, so con is a bit of a misnomer here - but this is something I felt necessary to call out. After opening, the Blissful Lengths Liquid Hair Growth Vitamin must be refrigerated. I totally missed that step on my first bottle, but have been refrigerating it ever since. Refrigeration is not a con in and of itself (honestly it's a pro - it lets you know that the ingredients are fresh and not full of shelf-stabilizing chemicals), but it's something to consider for folks like me - where out of sight = out of mind. Listen. No ifs, no buts, no coconuts here - Blissful Lengths costs more than the competitors in terms of dosage. One bottle = 15 days or 1/2 a month supply - which means you'd spend $50/month to take these vitamins. For all my economicaccountologists out there, a cost/benefit analysis is handy at this point. For someone who doesn't like swallowing (or can't swallow) pills, Blissful Lengths is well worth it. 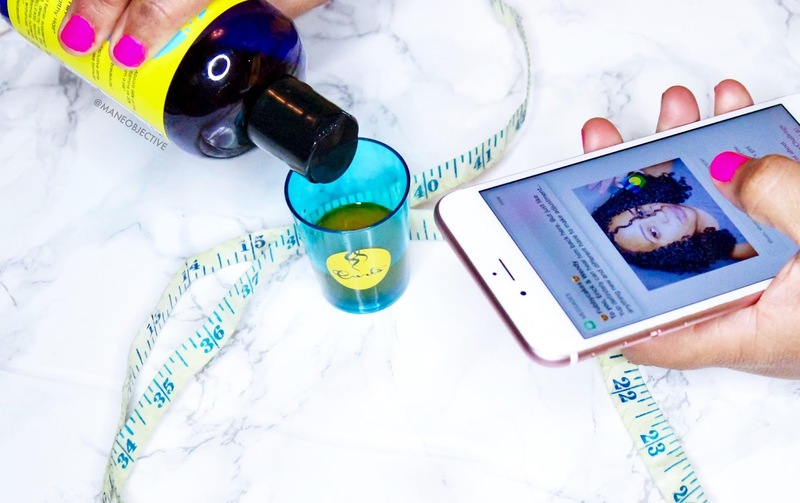 If you're looking for a straight shot and to start seeing results within a month, Blissful Lengths is worth it. If hair growth is not a priority for you right now, then you may be better off holding out, or catching it on sale. I will tell you this - one bottle is not enough to gauge benefit. You definitely need at least a month to assess whether it will work for you. But that's the case with all vitamins and supplements - don't expect to see any benefits until 30-60 days. Me, trying not to spill because I'm good at spilling things. Lol. Alrighty folks! Month 2 is in the books - onward to month 3! I can't wait to finish bottles 5 and 6, and show my final growth measurements! Got questions about the vitamins that I didn’t answer here? Leave ‘em in the comments below! 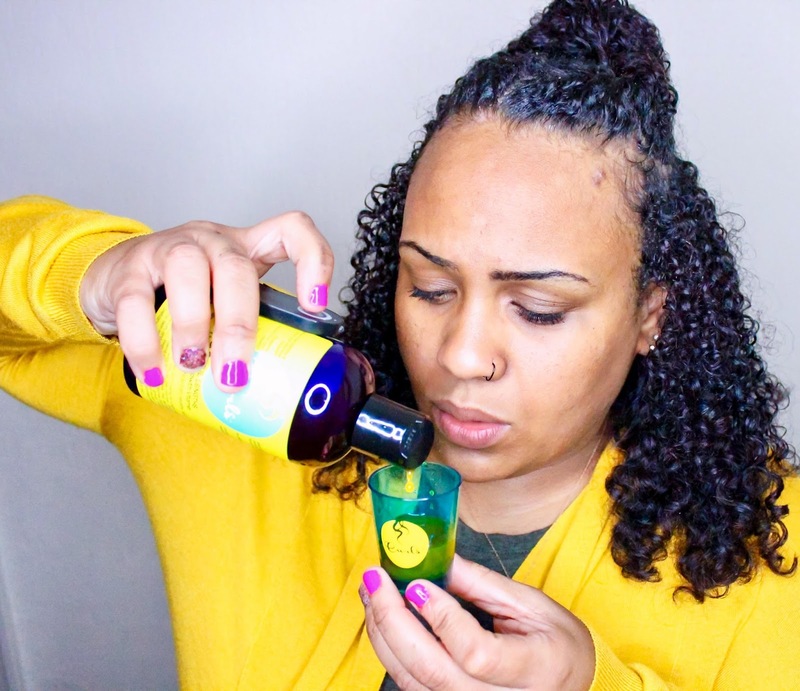 Don’t forget to follow @frizzfreecurls on Instagram to get all the details on the #GrowAndSlay challenge! You can win some forreal for serious dough! Christina, how do these compare to the Rapunzel hair vitamins? Christina, I never, ever- did I say EVER? EVER comment on anyone's blog or video posts, despite how much they entertain me... but you? You are so freakin awesome that I just had to do it!! Your style of writing and connecting with your audience through written expression is very similar to my own... that's scary! You just drew me in to watch a few of your videos and read quite a few of your articles. You remind me that I should have stuck to my passion for hair and writing many years ago. Missed that wave, but I truly enjoy seeing you do your thang on this blog! Great, great work! I've never taken a supplement before ('cause like you, I'm scared of what biotin may do to my skin) but these sound great. I may have to give this one a try. Thanks so much for your honest review! Love your work! Your blog is great. It’s very interesting. You are creating amazing content these Days. Your test showed that this tool in combination with proper nutrition and exercise gives very good results. 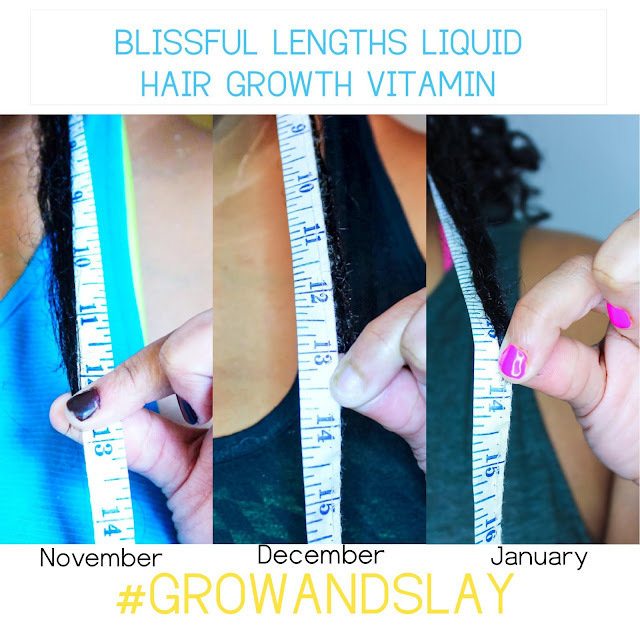 I was sure that this Blissfull Lengths Liquid Hair Growth Vitamins will improve your hair. Thank you for your post because now I can surely buy this vitamins. Hair care always brings a lot of trouble. After all, I want them to always look beautiful, well-groomed and neat. And this is not that simple. It is necessary to at least give them a lot of time. And your tool really helps.